Below you fill find all funeral homes and cemeteries in or near Scarborough. Popular neighborhoods in Scarborough include: Scarborough (CDP). Suburbs of Scarborough: Pine Point, W Scarborough, West Scarborough. Zip codes in the city: 04070, 04074. Some of the notable people born here have been: Joe Bessey (race car driver), and Ryan Moore (race car driver). It was written on February 18th, 2018 that Wolcott H "Skip" Johnson perished in Scarborough, Maine. Johnson was 87 years old and was born in Buffalo, NY. Send flowers to share your condolences and honor Wolcott H "Skip"'s life. It was reported on March 15th, 2017 that Rose Mary Frances Boyle (Taylor) perished in Scarborough, Maine. Ms. Boyle was 95 years old and was born in Philadelphia, PA. Send flowers to share your condolences and honor Rose Mary Frances's life. It was noted on February 12th, 2017 that Roger A Hansen died in Scarborough, Maine. Hansen was 84 years old and was born in Newark, NJ. Send flowers to share your condolences and honor Roger A's life. It was revealed on August 19th, 2016 that Robert R Fillion died in Scarborough, Maine. Fillion was 79 years old and was born in Berlin, NH. Send flowers to share your condolences and honor Robert R's life. It was disclosed on August 18th, 2016 that Ida O'Donnell (Desalvo) died in Scarborough, Maine. Send flowers to share your condolences and honor Ida's life. It was noted by The Times Record on June 1st, 2016 that Cecile A Gagnon (Pinette) passed on in Scarborough, Maine. Ms. Gagnon was 96 years old. Send flowers to share your condolences and honor Cecile A's life. It was reported by The Times Record on June 1st, 2016 that Jacqueline Munsey (Jenkins) perished in Scarborough, Maine. Ms. Munsey was 73 years old and was born in Dayton, OH. Send flowers to express your sorrow and honor Jacqueline's life. It was written on January 19th, 2016 that Helen Frances Delois (Mauney) perished in Scarborough, Maine. Ms. Delois was 92 years old and was born in Shelby, NC. Send flowers to express your sympathy and honor Helen Frances's life. It was revealed on January 19th, 2016 that Helen Frances Delois (Mauney) perished in Scarborough, Maine. Ms. Delois was 92 years old and was born in Shelby, NC. Send flowers to express your sorrow and honor Helen Frances's life. It was disclosed on January 9th, 2016 that Mildred Houghton (Hulsebus) died in Scarborough, Maine. Ms. Houghton was 100 years old and was born in Peoria, IL. Send flowers to share your condolences and honor Mildred's life. They might have succeeded and captured the 8 soldiers inside, but a 2 day downpour began which made the disturbed bank slough, exposing the previously hidden excavators to snipers in the fort. The town is a coastal resort area. 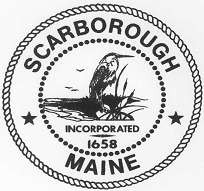 Located about 7 miles (10 km) south of Portland, Maine Scarborough is part of the Portland–South Portland, Maine Portland–Biddeford, Maine Maine Portland-South Portland-Biddeford metropolitan area Statistical Area. After several attempts to rebuild between guerrilla warfare incursions during King William's War, the survivors Emergency evacuation in 1690 and moved south to Portsmouth, New Hampshire or Boston. Called the Battle at Moore's Brook, it was an embarrassing rout for the military. At his funeral in Scarborough last Wednesday ... Athanasiou frequently tried to open doors and leave. Help me, I want to go home, he said the day Brazao left the west end Toronto residence. A SCARBOROUGH man has paid tribute ... it didnt get any better for me than that. Sir Norman passed away at a nursing home in the Isle of Man after suffering a series of strokes. His funeral will take place on Friday October 22. Funerals in Scarborough, ME on Yahoo! Local Get Ratings & Reviews on Funerals with Photos, Maps, Driving Directions and more. We work with local florists and flower shops to offer same day delivery. You will find budget sympathy flowers in Scarborough here. Our funeral flowers are cheap in price but not in value.